Buoy Tender Roundup Olympics - USA Patriotism! 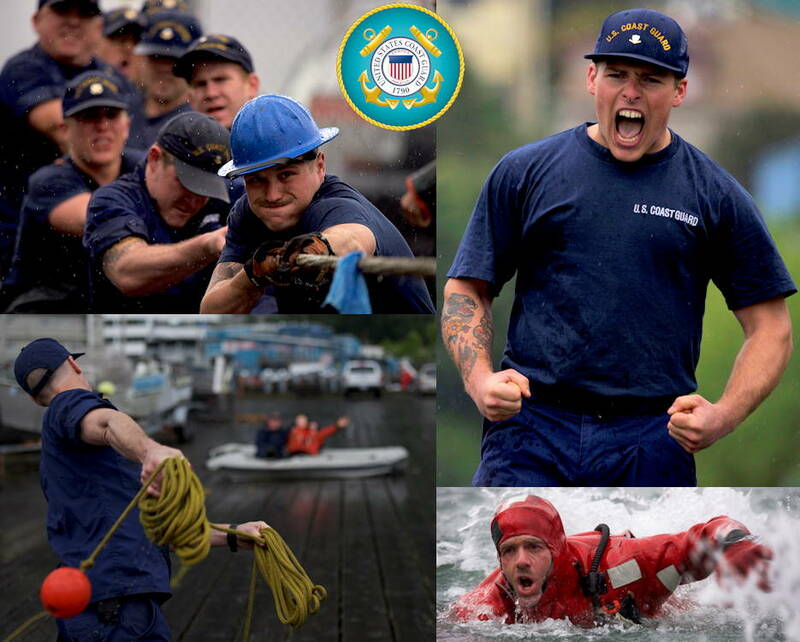 Top Left - Crewmembers of the Coast Guard Cutter Anthony Petit, homeported in Ketchikan, Alaska, use every ounce of strength in their tug-o-war loss to the crew of the Coast Guard Cutter Sycamore. Top Right - A member of the Coast Guard Cutter Sycamore, homeported in Cordova, Alaska, celebrates after taking first place in the tug-o-war competition. Bottom Left - A Coast Guard member competes in the heaving line toss to people requiring assistance in a raft. Bottom Right - A Coast Guard member gasps for air while competing in the survival swim relay. The Buoy Tender Roundup Olympics builds morale amongst cutter members, while providing a fun alternative to every day training in events such as the tug-o-war, chain pull, survival swim, line toss, and the heat-and-beat.